Anybody over the age of 35 years old probably has a strong memory of The Cold War. In case you are too young…basically The Cold War was the period of time from the end of World War II to late 1991. It began with the USSR influencing other countries to form communist ideologies after World War II ended and the US and great Britain opposed this. The last part of The Cold War (the part I remember), was the fear of an impending nuclear war between the USSR and the United States. There are tons of parts I’m missing. I didn’t want to give a full history lesson. One strong memory I had growing up in the 70’s and 80’s was just how amazing the athletes of the USSR were. 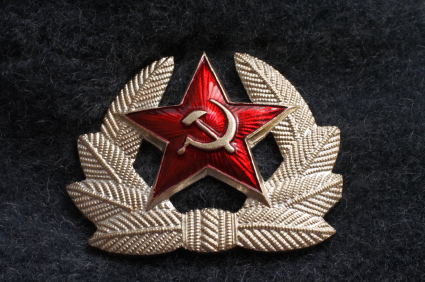 The USSR competed in a total of 9 summer Olympics and were 1st for medal count in 7 of these. They also had the same results for the winter Olympics…1st place in medal count 7 out of 9 times. In 1992, twelve of the fifteen former Soviet Republics competed together as the Unified Team in the Barcelona Games, where they finished first in the medal rankings. The USSR Had A Viscous Military as Well! Much like the athletes, the military of the Soviet Union was top notch as well. There are accounts of these guys doing amazing physical drills and getting in incredible physical shape. What is surprising about both the Olympic Athletes as well as the Military is how “low tech” the training facilities appeared compared to their American counterparts. The Soviets spent less time on constructing good looking facilities and more time on the understanding of how the body responds to exercise. In 1999, Pavel Tsatsouline writes and publishes the book Power to the People. This in my opinion is the greatest explanation of how a muscle gets toned, how strength is gained, and how size is gained. I give this book my highest recommendation. I LOVE the fact that this was written by a master trainer from the former Soviet Union. Maybe it is just my memories from being little and getting chills when I saw the athletes with the red uniforms with the yellow “hammer and sickle”. I just like having access to some of the former Soviet Training techniques. Pavel is really humorous in this book in a kind of a “warped” way. He jokingly calls himself “The Evil Russian”. He goes into a lot of detail about how too much muscle just slows you down and makes you a terrible soldier, etc. He pokes fun at bodybuilders in a nice way, and does have a chapter on gaining muscle mass…although he doesn’t recommend it. If you haven’t read Power to the People, you don’t have a full understanding of muscle tone…period! I get people who argue with me on this point all the time. They say that muscle tone is just simply a result of having a decent amount of muscle and a low body fat percentage. I used to think the same way…in fact almost every person in the fitness industry thinks this way. Sorry…Pavel has a better understanding of muscle tone and explains it in tremendous detail. I’ll take Pavel’s side on this issue because it all makes complete sense when you read his book. It isn’t that we have been wrong about muscle tone all this time, but we haven’t seen the entire picture. Before I read Power to the People, I believed that to get really toned I would need to gain a certain amount of muscle mass and then get to a low body fat percentage. Here is the mistake…this is how you display the muscle tone you have. It is true that you do need to get to a low enough body fat level to “display” your muscle tone, but there is actually a way to increase that muscle tone you are displaying. How does someone gain strength without size? They learn to recruit more muscle fibers when they lift. A weak and untrained person typically has an inefficient nervous system…when they lift they can only recruit a small percentage of their muscle fibers. If you gain strength without adding size you are training your nervous system to fire harder during that lift and recruit a higher percentage of the fibers within a muscle. The stronger you get, the more alert your nervous system becomes at recruiting muscle fibers. An “alert” nervous system is what causes muscle tone…low body fat is what displays the muscle tone. Sorry to Take the Side of the Soviets on This One! 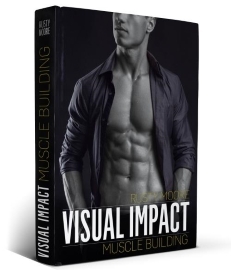 Pavel devotes over a 1/3 of his book to gaining muscle tone through low reps and how to gain strength without size…I can’t do it justice in a short post. I just wanted to give credit where credit is due. Seven years ago Pavel changed the way I view exercising for muscle tone. I am glad he is on our side and taught us some former Soviet philosophies! Note: Pavel makes fun of bodybuilders in his book, but to be fair he also clowns a bit on guys who just want to look like “Calvin Klein Models” as he puts it. His workouts use just really basic lifts and are more directed towards function VS form. I focus more on looks and then function, so I recommend a lot of cardio and a larger variety of exercises. I have all of Pavel’s book and enjoy them immensely. He is all about form and function (along the lines of Bruce Lee) then he is about size and show. He states that consistantly lifting heavier weight makes your muscles denser (i.e- toned). As Rusty said, really recommend his book(s). In Power to the People his workout is 20 minutes long and consists of only 2 excercises! Great Book! yea, pavel is great…many common routines focus on excessive volume which can make you less active and hungrier…two things to avoid when trying to get lean. as far as going for size, volume is good i think. Yeah…It isn’t a must buy, but if you are planning on building a library of any sort…it is a groundbreaking book. It is obvious that many, many people on the bodybulding forums either haven’t read his stuff -or- they simply disagree. All of these guys question the current trends and have added a lot to this industry, despite being criticized they got their message out. You are right…bodybuilding is about volume of lifting with progressively heavier weights. Strength training doesn’t involve a high volume of lifting. I think you told me in the past that you are super-strong at a pretty low weight. I am the same…I don’t like to brag on my site, but I put a lot of bigger guys to shame strength-wise. I also read Pavel’s stuff about 7 years ago and it had a profound impact on the way I understood muscle tension and weightlifting in general. He does an excellent job of explaining how to recruit your muscles properly and has many good cues and little tricks to ‘upgrade your muscle software’ as he puts it. The only problem I had with his book is that he concluded by basically saying you only ever need to do 2 excercises, the deadlift and the side press, for heavy single and up to sets of 5 if I remember correctly. Personally, I love doing 1RM efforts and low rep training, but it takes it’s toll on my joints rather quickly. Also, too much deadlifting with no variation hurt my back over time and if you want a slim waistline I’de stay away from too many deads. Basically, I loved the info, but think it’s wrong to limit oneself to so few exercises. A good book though, I’de still recommend it. Yeah…I don’t fully agree on his exercise choices, but his principles of weight lifting are spot on. I love being stronger than guys who are 40 pounds heavier…it gives me a “warm and fuzzy feeling”…LOL! I also like his writing style. Extremely entertaining as well! Gaining strenght will also help you gain size in the long run. The flu robbed me of a few lbs of muscle and I started looking kind of weak. I just switched up into a more volumous routine, dropped my jump rope sessions and threw in some extra food. I didn’t really loose a lot of strengh, but when you’re strong and aerobically fit and want to gain size you are able to handle and generate a higher level of intensity. A good routine for strength I like is just centering a whole routine around a powerlift. I would warm up with some calisthenics, like a pyramid of pushups and pullups, or dips…then move on to a military press, deadlift, or incline bench press and just do that in very low rep ranges. Then onto jump rope, close it with a static hold circuit, and thats it. In and out in 45 min. You’re right Michael, Heavy deads will thicken that waistline in no time! I tend to stay away from deads as I have a very touchy back and the tiniest stress puts me out for days! Love your blog, it’s the only fitness blog I subsribe to. You have the best information and a really accessible style. Thanks for all the great information!! Once again, a great post! I actually want to offer just a thought I’m wrestling with myself. I wonder, if you’re not concerned with strength or size, but tone, if there is indeed merit to the light weights, high reps approach. 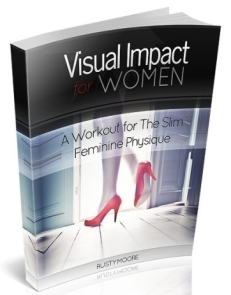 The sterotypical women’s workout. Is it really necessary to lift a heavy weight in order to acheive tone? Can’t you acheive tone more safely by contacting the muscle a number of times using a small weight? You won’t get much size at all, though you’d get a little perhaps from building more blood vessels, but your muscles should remain ‘tense’ and therefore toned if you do this regularly. Any thoughts? I will probably try to track down this book. Here is where Pavel’s ideas are really exciting. You are actually using weight as an easier way to get strong contractions in the muscle. He says it is possible to use much lighter weights and get strong contractions, you just have to purposely contract the muscle’s hard. Here is what is crazy…he says you can get stronger without ever lifting heavy by “pretending like the weight is heavy” and lifting at a slow pace and building tension just as if the weight is heavy. If someone had joint problems, this would be the way to get toned while lifting light weights. He actually recommends warming up like this. So here is what I do for a bench press if I want to end up hitting a few sets of 225 for reps of 3-5 (I don’t go heavier than that these days). 1) I will lift 135 at exactly the same pace I would do for 225 and try to imitate the tension I would feel. Even though the weight feels light, I don’t throw it up and down like a piston for a bunch of reps. I do 135 for 3 reps.
2) Then I’ll do the same with 185. I’ll pretend like the weight is 225 and lift it at that pace with that same level of tension. 3) Then I do it with 205…remember I could probably hit it for over 12, but I’m sticking to 3 reps…just like my main work sets. What happens is that 225 feels lighter for some reason. It isn’t a shock to my system, because my other sets felt almost the same to my muscles. It is REALLY crazy stuff! If someone wanted to lift using light weights, I would still stick to lower weights…I would just move the weights like they are heavier and squeeze the hell out of the muscles. The other approach works too, but high reps always seem to give me more of a pumped look instead of an angular lean look. Funny you mention Bruce Lee…Pavel mentions him a bunch in his book. Also read the comment above. This is just a small piece of wisdom from the book. Thanks so much, great advice! Good read on what Pavel’s saying, I’m going to try it…. Hi Rusty! I’ve been reading your blog for a couple of weeks now and I really enjoy it! I looked up Pavel and his books, and I noticed that he also has material out on the kettlebell. I started looking for more information on these things, but it is hard to find info from someone who isn’t also selling kettlebells. So my question is what are you thoughts on the kettlbell? I’ve seen people build pretty impressive physiques using kettlebells…not too muscular and very toned. 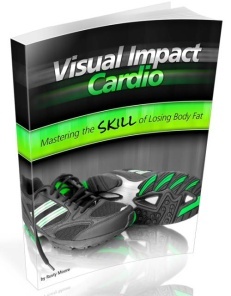 They are extremely effective in helping people get that lean and toned look. That being said, I would never use kettlebells, because of a past spinal injury I have. If I didn’t have this pre-existing injury, I would probably own a couple and do kettlebell workouts for a period of time each year, just to mix things up. I wouldn’t do them year round, because I enjoy hitting a variety of lifts…plus I like to work my chest which is nearly impossible to do with kettlebells. The one downside of using kettlebells, is their potential to “Thicken the waist” a bit. It is pure muscle gained around the core, so it is very functional muscle…but nonetheless many people do add a bit of thickness there. Is it nessassary to keep using progressively heavier weights to continue building stength? At some point wouldn’t you have to start lifting cars to be able to keep uping weight? Or is it a case that once you have reached the level of tone you want that you just maintain? Is that possible if you need to keep your nervous system devloped? By keeping the nervous system developed I mean recruiting more muscle fibers. That makes sense. The heavy weight is just designed to generate strong muscle contractions. It is the strong muscle contractions that create the tone, not the actual weight itself. At some point you will stick to the same weight and just move it slower or you learn how to contract the muscles harder with that same amount of weight. An alternative is to switch up the lift to a slightly different version of the same lift, if you feel you have mastered a lift. Ah ok. So I’ll leave the car lifting to Superman, The Hulk, ect.,..lol. I actually read “The Art of Expressing the Human Body” by Bruce Lee and there was some references to strong muscle contractions, but not laid out as clearly or as focused as you have. It’s funny how after reading this post and now your answer that the information in that book kinda clicks. Cool. Bruce Lee’s philosophies are still more advanced than typical mainstream fitness books. Amazing stuff! Glad my explanation made sense! Isn’t there a way to download this book freely ’cause I don’t have a credit card? No…he charges for this info…and it is worth the price. I don’t use kettlebells and Pavel doesn’t follow the Warrior Diet. Doing the Warrior Diet doesn’t necessarily mean that you have to eat nothing all day and then just one meal at night. It mainly emphasizes the point that it is okay to let yourself get hungry during the day by eating less during the day. This is a good way to burn fat calories because there aren’t excessive food calories for your body to use for energy. Working out in the afternoon amplifies this effect. Then you eat a large portion of your calories after your workout, when your body absorbs them the best. It is a great way to stay lean while maintaining muscle mass. It isn’t the only approach that works, but it works well. One other thing, you don’t have to eat “Warrior” like every day. Ori says just do it on days that make sense. I eat like this probably 2-3 days a week and it works well. Thanks so much for this information! I have started losing weight because I look like a normal size but underneath the clothes I have way too much body fat. It really helps that the science behind the ideas is explained cuz I actually understand why it would work and can tweak it to suit my needs. since I have started focusing more on muscle building and toning I’ve been dropping more weight. I found work majority cardio was not paying off but increased weights i drop weight and feel great. A great example of why you should use the K.I.S.S. principle. Previous post: Is Diet OR Exercise More Important for Fat Loss and Getting Lean? Next post: The Naked Female Body…A Guy’s Perspective.